Sit comfortably and enjoy the beautiful summer weather with this elegant Caroline Chair. Designed with comfort in mind, it has a simple yet robust construction and will be a fantastic addition to any garden or patio. 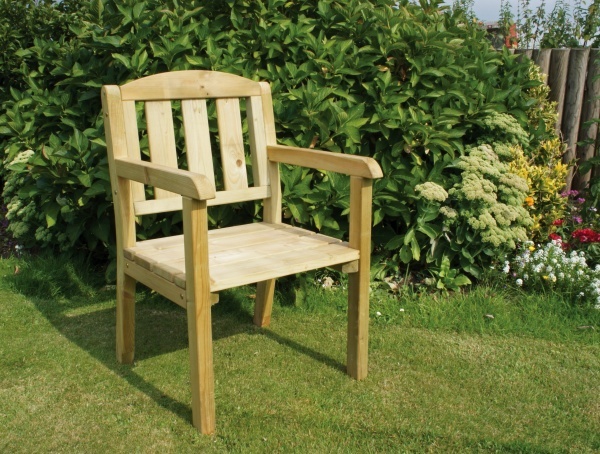 This chair is manufactured from high quality pressure treated timber to withstand the test of time and comes with 10 years guarantee against rot.